For those competing in the Torchmate Reno Stampede: Signing up for IRC Tracking is required. We have negotiated with Iritrack to offer both a purchase and rental option for the bracketry. 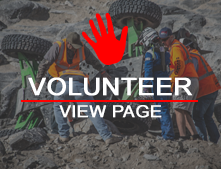 Please note: IRC Tracking will be used throughout the 2012 Ultra4 season so those planning on racing multiple races with us next season will want to consider the purchase option for the bracketry. Please Note: Drivers can bring the order form to the event. However it is MUCH easier if they email it to [email protected] or fax it to: 714-730-8902. Things will be much smother if it is done in advance.